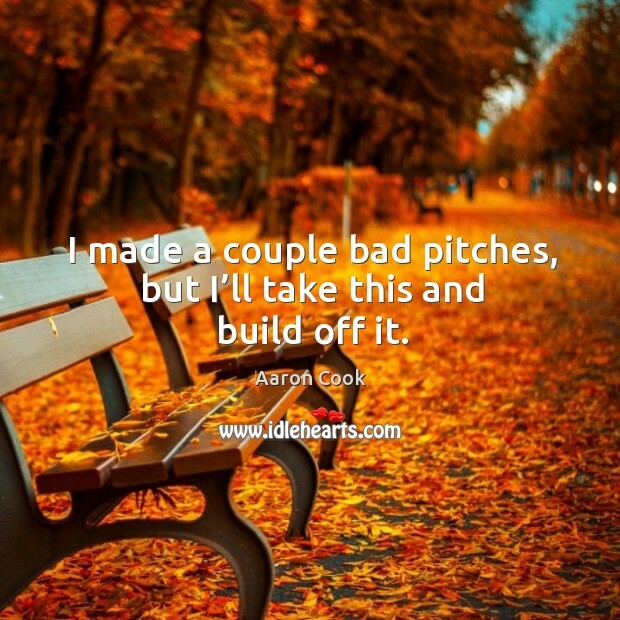 Enjoy the best inspirational, motivational, positive, funny and famous quotes by Aaron Cook. Use words and picture quotations to push forward and inspire you keep going in life! He’s aggressive with his fastball. 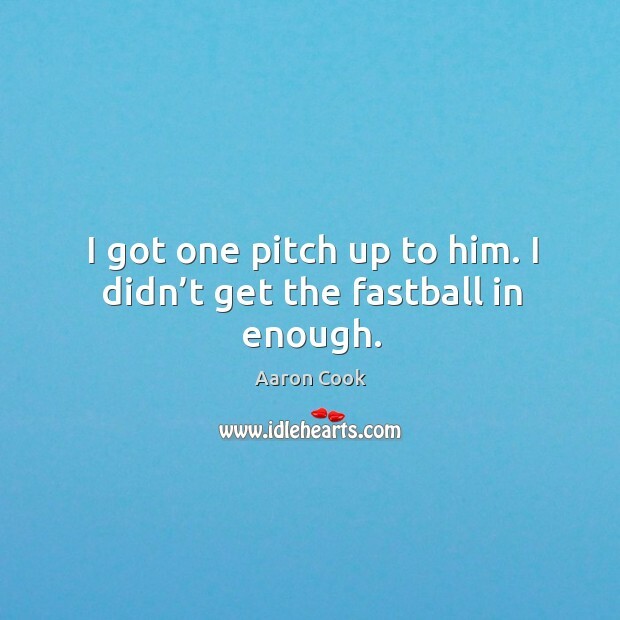 He doesn’t pitch to the park, kind of the same mentality I take out. 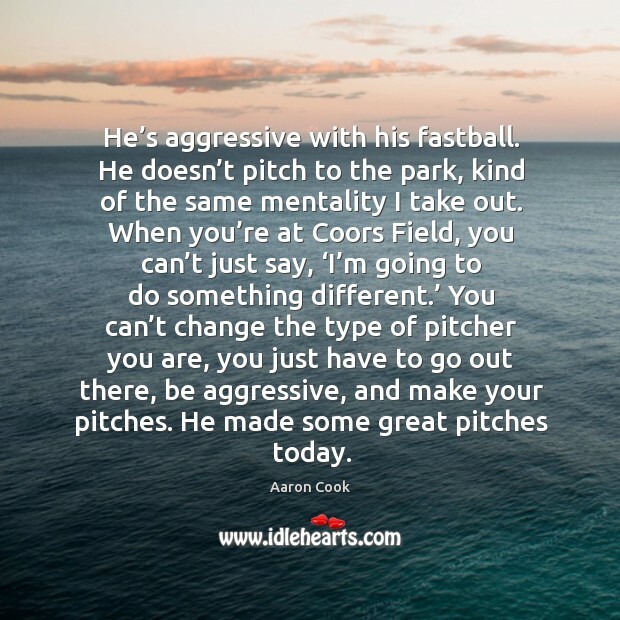 When you’re at Coors Field, you can’t just say, ‘I’m going to do something different.’ You can’t change the type of pitcher you are, you just have to go out there, be aggressive, and make your pitches. He made some great pitches today. Both of the errors hit on the exact same spot on my glove, right on my thumb. 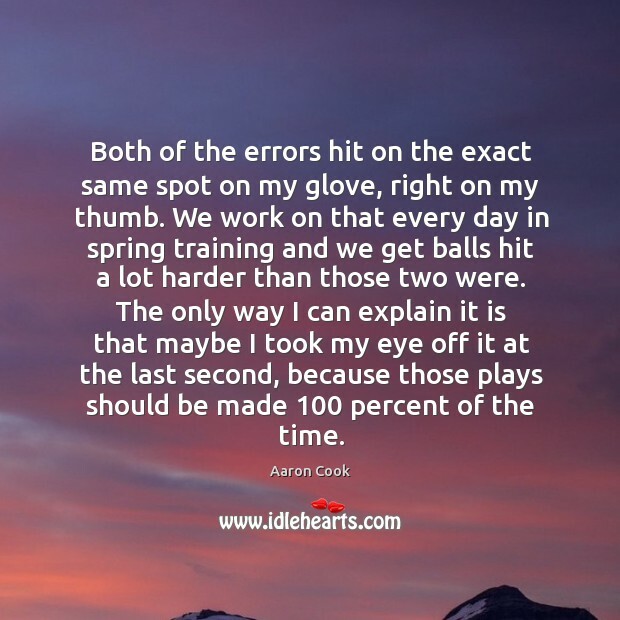 We work on that every day in spring training and we get balls hit a lot harder than those two were. The only way I can explain it is that maybe I took my eye off it at the last second, because those plays should be made 100 percent of the time. I get stronger as the game goes on. 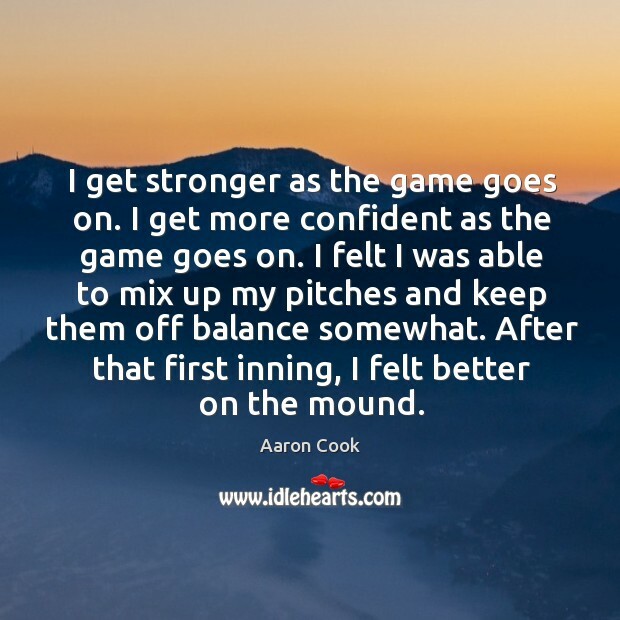 I get more confident as the game goes on. I felt I was able to mix up my pitches and keep them off balance somewhat. 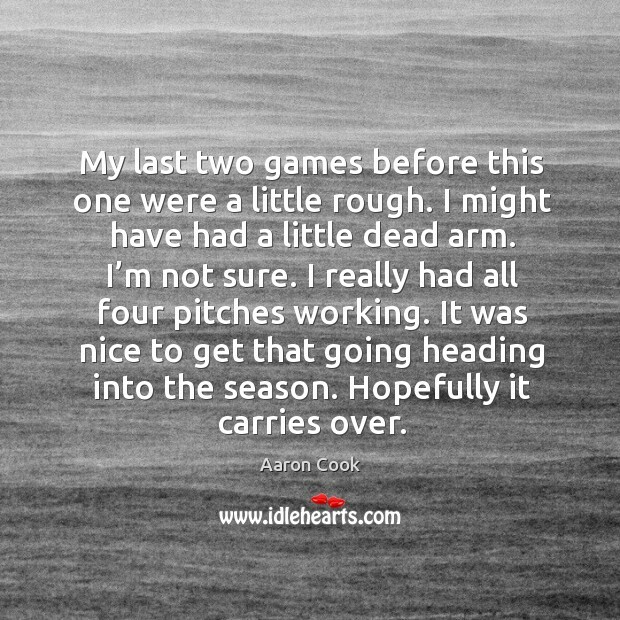 After that first inning, I felt better on the mound. 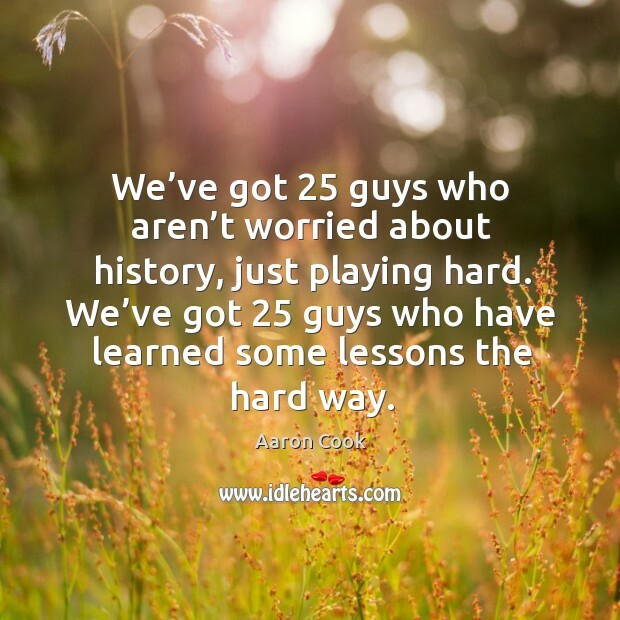 We’ve got 25 guys who aren’t worried about history, just playing hard. We’ve got 25 guys who have learned some lessons the hard way. 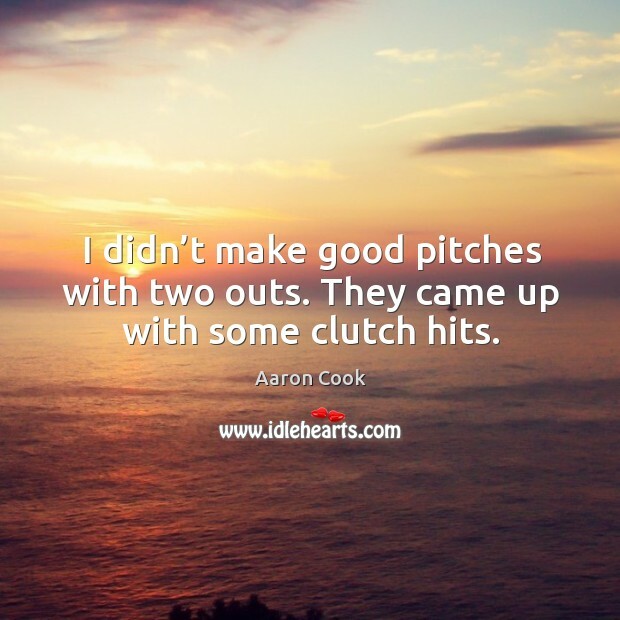 I didn’t make good pitches with two outs. They came up with some clutch hits. 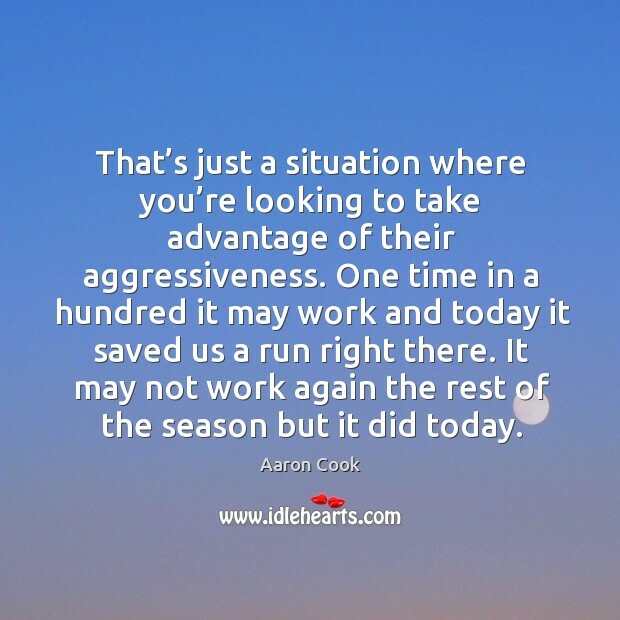 That’s just a situation where you’re looking to take advantage of their aggressiveness. One time in a hundred it may work and today it saved us a run right there. It may not work again the rest of the season but it did today. I got one pitch up to him. I didn’t get the fastball in enough. 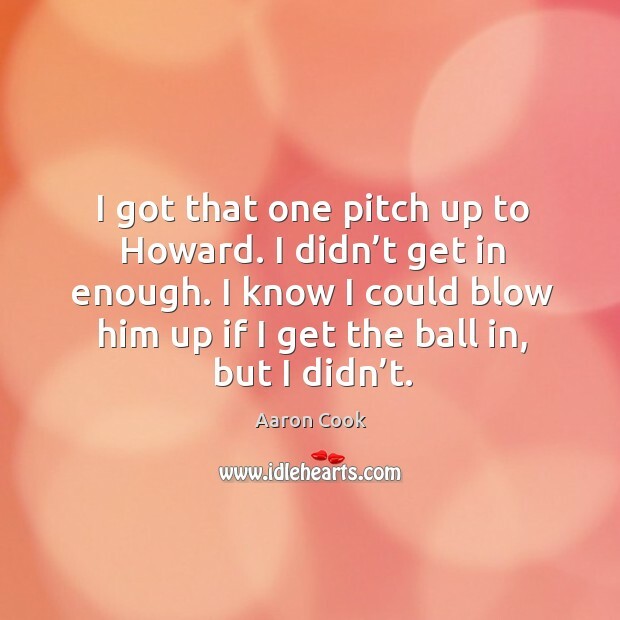 I got that one pitch up to Howard. I didn’t get in enough. I know I could blow him up if I get the ball in, but I didn’t. 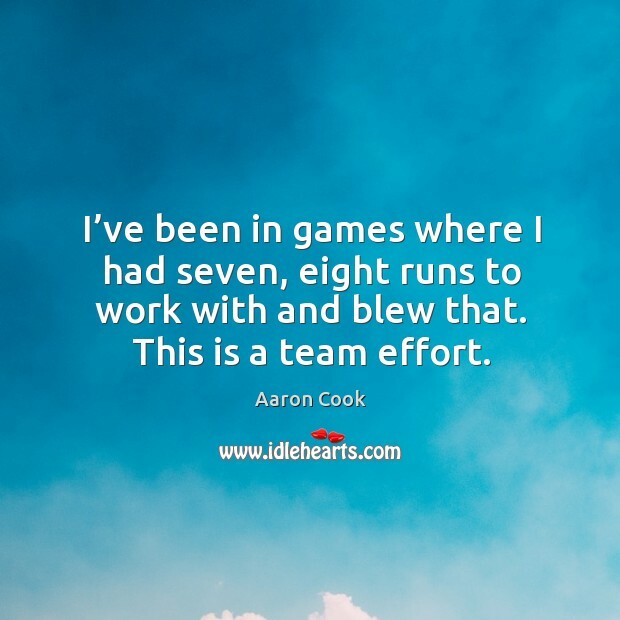 I’ve been in games where I had seven, eight runs to work with and blew that. This is a team effort. Today, my best wasn’t enough to win the game. 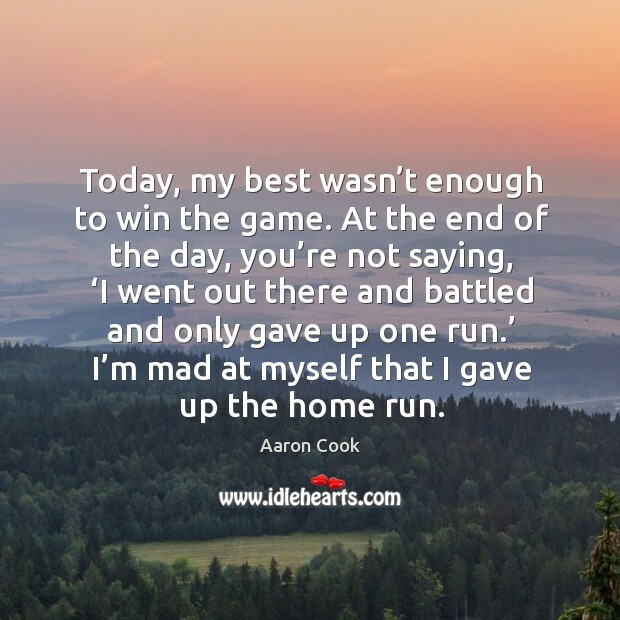 At the end of the day, you’re not saying, ‘I went out there and battled and only gave up one run.’ I’m mad at myself that I gave up the home run. We needed to pick it up. 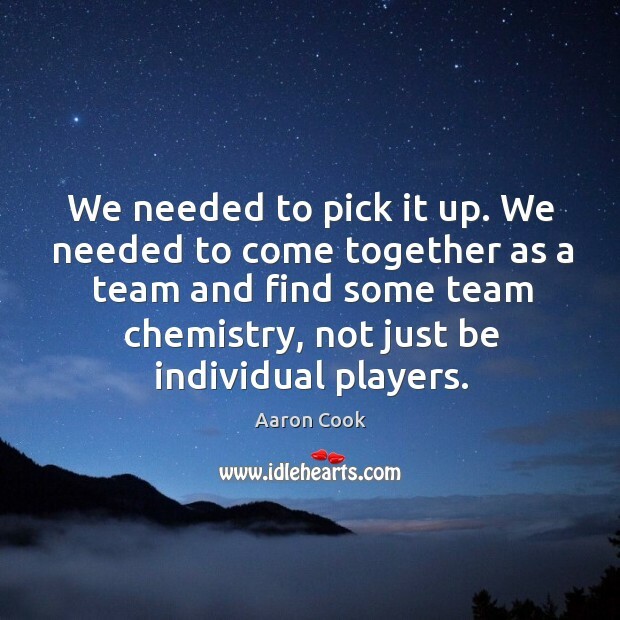 We needed to come together as a team and find some team chemistry, not just be individual players. 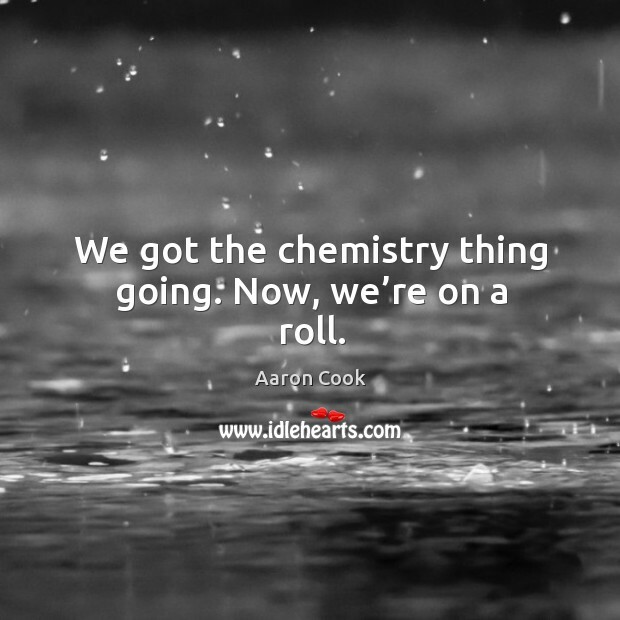 We got the chemistry thing going. Now, we’re on a roll. 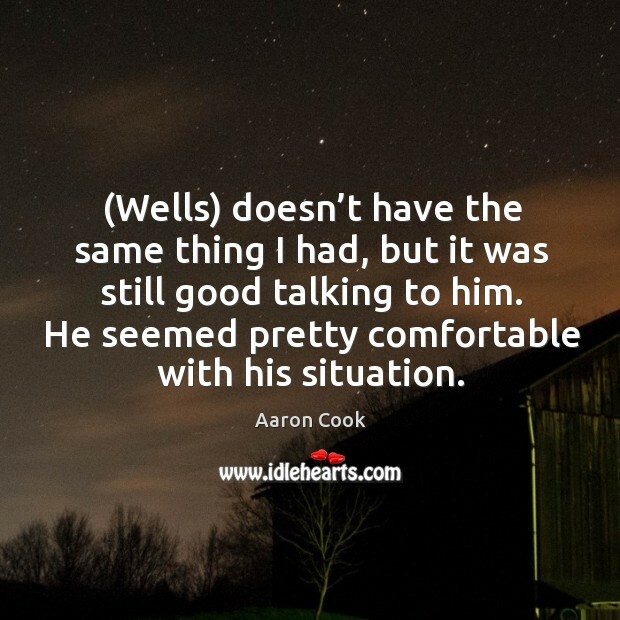 (Wells) doesn’t have the same thing I had, but it was still good talking to him. He seemed pretty comfortable with his situation. 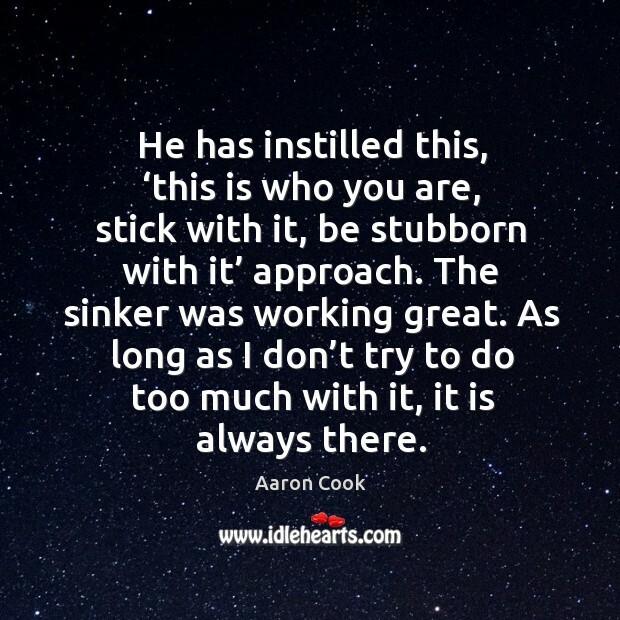 He has instilled this, ‘this is who you are, stick with it, be stubborn with it’ approach. The sinker was working great. As long as I don’t try to do too much with it, it is always there. I made a couple bad pitches, but I’ll take this and build off it. My last two games before this one were a little rough. I might have had a little dead arm. I’m not sure. I really had all four pitches working. It was nice to get that going heading into the season. Hopefully it carries over. 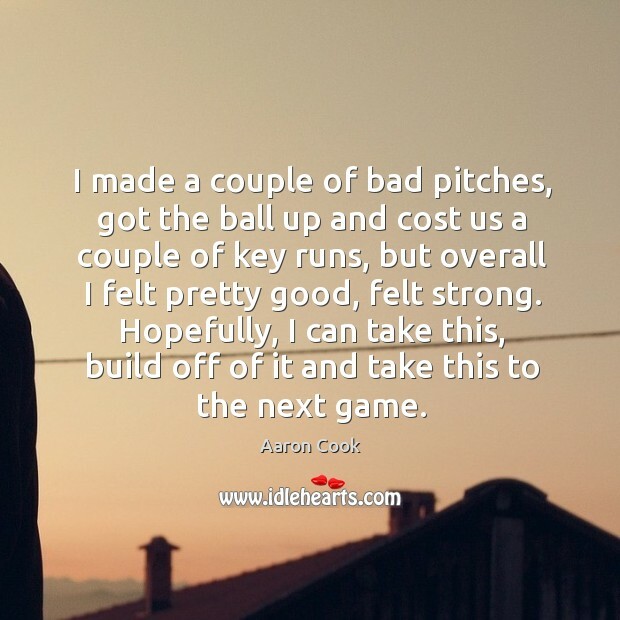 I made a couple of bad pitches, got the ball up and cost us a couple of key runs, but overall I felt pretty good, felt strong. Hopefully, I can take this, build off of it and take this to the next game.